Corsair's new Carbide Series SPEC-04 mid-tower cabinet features an asymmetrical hard-edged design with sufficient room for up to five fans. 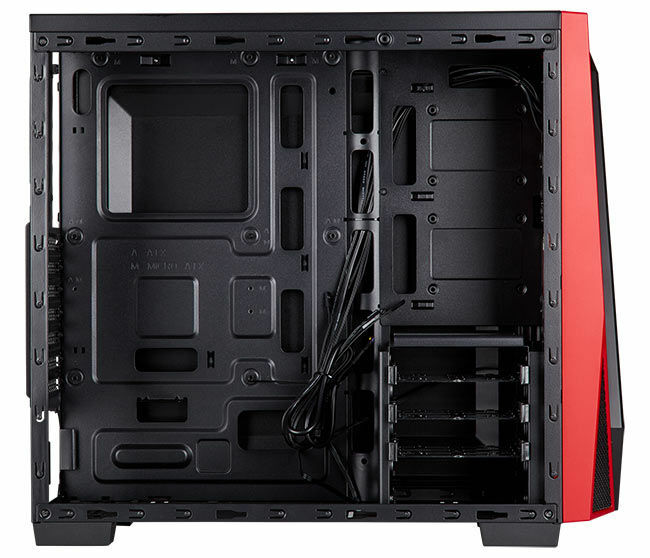 The Corsair Carbide SPEC-04 features a large side panel window and will be available in three different colour options. The side-mounted front panel includes a power button, USB 3.0 and USB 2.0 ports, audio out and mic-in ports, and a reset button. The cabinet also comes with a pre-installed 120mm LED fan on the front panel and built-in dust filters at the front and bottom (for PSU). The Carbide SPEC-04 will be available in India for Rs. 5,499. 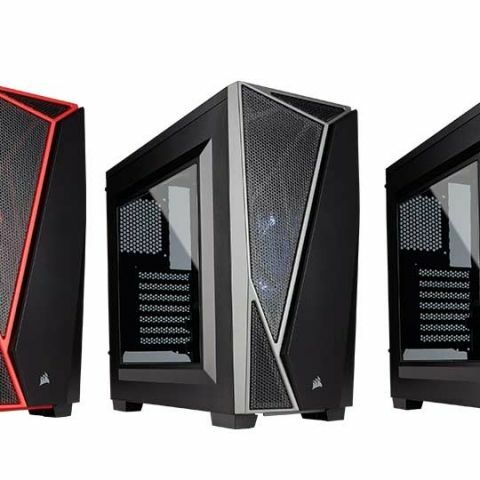 Corsair®, a world leader in enthusiast memory, high-performance gaming hardware and PC components today announced the newest addition to the Carbide series of mid-tower gaming cases, the CORSAIR Carbide Series SPEC-04. With unmistakable styling, a large tinted side panel window and roomy interior, the Carbide Series SPEC-04 is ready-to-build a system as bold as it looks. With it’s asymmetrical, hard-edged exterior, the SPEC-04 is ready to stand out, with three different colour options to match your system, Black and Yellow, Black and Red or Black and Grey. The angular styling isn’t just there for looks, it hides a side-mounted front panel equipped with USB 3.0 and 2.0 ports and a huge ventilated section to provide excellent Direct Airflow Path airflow. Whichever colour you choose, the SPEC-04 offers the performance to back up its looks, with a pre-installed 120mm LED-lit front intake fan and room for up to five fans; two 120mm or 140mm in the front, two 120mm in the roof and one 120mm in the rear. 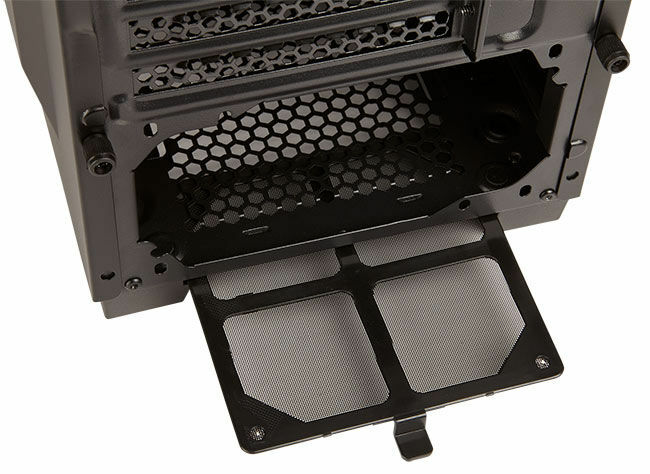 Fill each slot with a CORSAIR AF, SP, ML or HD series 120mm fan for maximum airflow, or fit any 120mm CORSAIR Hydro Series liquid cooler for watercooled performance. What’s more, with both front-intake and PSU dust filters, the SPEC-04 is equipped to keep your system clean, as well as cool. Inside the SPEC-04 is packed with a host of builder-friendly features to make your next gaming PC build as easy as possible. 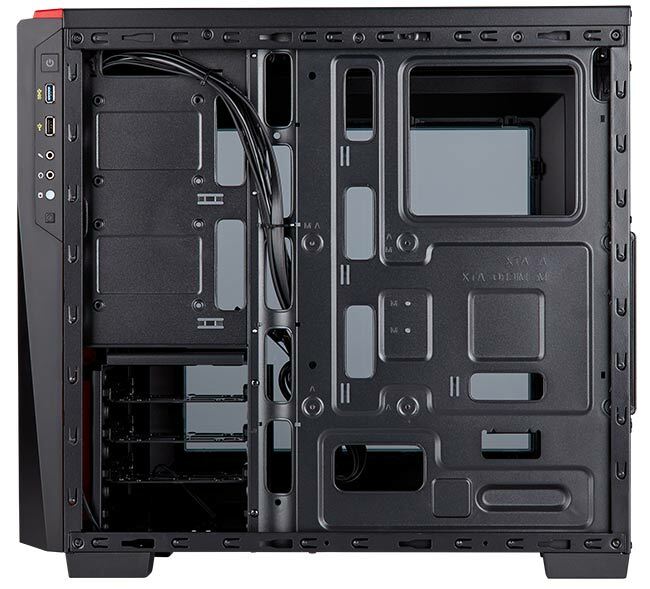 ATX, MATX and mini-ITX motherboard support is accompanied by seven expansion slots and room for GPUs up to 370mm in length, so while you might agonise over that next system upgrade, you won’t have to worry about whether it’ll fit. Expansive storage mounts accommodate up to three 3.5in HDDs and two 2.5in SDD’s, while multiple cable routing cutouts and tie downs make for easy cable management to keep your build looking spacious and uncluttered.